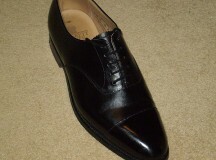 Last week Canada’s Finance Minister, Jim Flaherty, spent $138.98 on a new pair of black dress shoes. Why? Because he was announcing a new budget. Flaherty is in charge of presenting Canada’s budget, which is why he bought the new shoes. It’s a tradition in Canada that the Finance Minister wears new shoes to present the budget. According to Wikipedia no one really knows why, but it’s something most Canadian Finance Ministers have done since the 1960s. It’s a tradition. This year, the federal government structured its budget to reduce Canada’s annual deficit to zero by 2015. A deficit happens when a government spends more than it collects in a year. People in the community of High Park in Toronto have come together to rebuild a special playground there. On March 17, an early-morning blaze destroyed a section of the castle-like wooden playground in the park. Police and fire officials are investigating to find out the cause of the fire. In the meantime, local residents and business owners are already actively planning and raising funds to rebuild the one-of-a-kind structure. 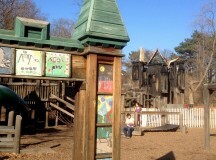 The Jamie Bell Adventure Playground, where the “castle” was, is in High Park, just north of Lake Ontario in Toronto. It opened in 1999 and is named after a Toronto resident whose idea it was to build the unique playground. Members of the community are pulling together again to rebuild the portions damaged by the fire. And it’s not just local residents who have offered to assist; Canadian Tire has pledged a significant donation towards the project. 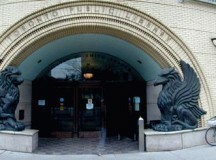 Toronto’s 98 libraries are temporarily closed after talks between representatives for the City of Toronto and the library workers’ union broke down last Sunday. Last Monday, 2,300 library workers set up picket lines at libraries. A picket line, in this case, is where the library workers march with signs that tell the public what they want from the City of Toronto, which pays their salary. Picketing is a way of letting people know that a deal needs to be made before they will go back to work. Library workers are looking for job security*, especially for part-time workers. Part-timers want the city to let them work more hours during the week, says Maureen O’Reilly, president of the Toronto Library Workers Union. The City wants workers to be part-time because it cannot pay full-time salaries. The deadline for a deal has come and gone four times but the two parties cannot agree on how to settle their differences. The library workers decided that a strike was the only option left for them. Football fans are pretty excited in Denver, Colorado this week. That’s because football superstar, Peyton Manning, has decided to join the Denver Broncos. Manning is considered one of the greatest quarterbacks to ever play the game. He is the only player in the NFL to be named Most Valuable Player (MVP) four times. Because he’s so good, the 35-year-old could choose just about any team to play for. He chose the Broncos because he thinks they can win the Super Bowl. He wants another Super Bowl ring. The robo-call scandal is not going away. In fact, it’s getting bigger. During the last federal election, many Canadian voters said they received automatic voice-mail messages (robo-calls) directing them to the wrong polling station. CBC News is reporting that they have found voters across Canada who say they got misleading robo-call messages because they were not voting for the Conservative Party. This points the finger for the robo-calls at the Conservative Party and Prime Minister Stephen Harper. During elections, people often get a recorded message on their telephone that reminds them to vote and tells them where to go, to vote. These messages, which use pre-recorded voices, are known as robo-calls. Canada’s federal Conservative party is being accused of using robo-calls to mislead the public, during last year’s election. The RCMP and Elections Canada (the group that makes the rules for elections), are looking into accusations that some robo-calls steered voters to the wrong polling station, or to polling stations that didn’t even exist, which would be illegal. Prime Minister Stephen Harper says he doesn’t know anything about the illegal robo-calls. For the first time in three centuries, the united part of the United Kingdom may be in trouble. The Scottish National Party (SNP), the party that runs Scotland day-to-day, is urging the Scottish people to support independence from Britain. However it still wants to keep the Queen as official leader. Last week, British Prime Minister Gordon Cameron went to Scotland to argue that Scotland should not separate from Great Britain. 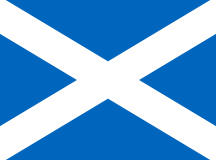 Scotland and England have been together since 1707 when the Kingdom of Great Britain was formed under the rule of the British. Ireland and Wales were already under British rule at that time. Greece was in trouble because it took on too much debt. But other countries have agreed to help Greece by lending the country more than 130-billion euros. Euros (€) are the units of money used in 17 countries in Europe including Greece, France and Germany. The countries that have agreed to bail Greece out of its money problems are demanding something in return. 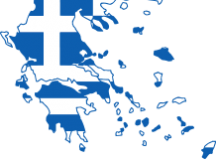 They are insisting that the government of Greece spend less. Some Attawapiskat residents will soon be moving into new “modular” homes. 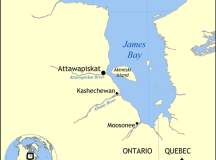 Attawapiskat is a remote community in northern Ontario. Last year, the government there declared a state of emergency because residents were living in conditions that were very unsafe. 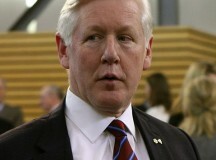 Canada’s government promised to help fix the housing problems in Attawapiskat. The first modular home has reached the first nations community, and the second is on its way.